Embark on a pilgrimage to discover something new about yourself. It isn’t so much a choice you make, as a response to a call already whispered to you. In the experience of encounter with strangeness and unfamiliarity, you are able to move out of our assumptions, expectations, and preconceived ideas, so a new way of seeing yourself and the world can break free. 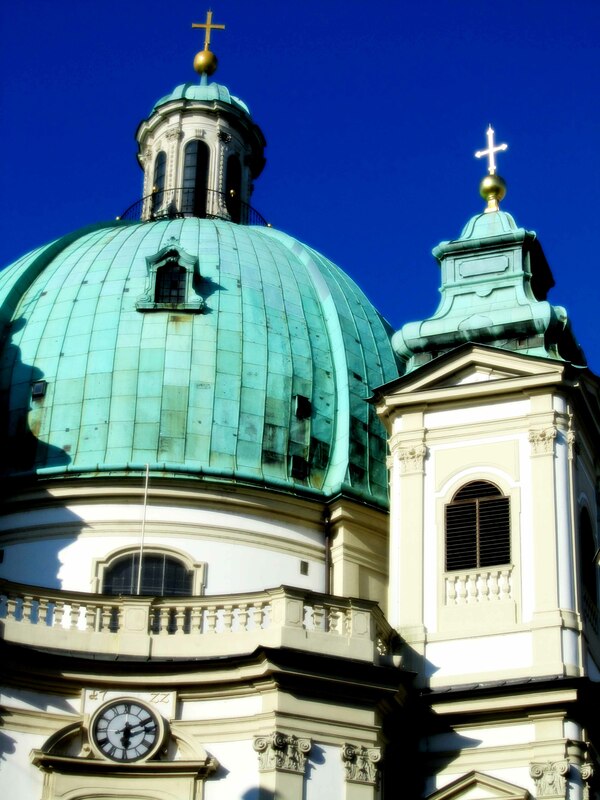 Join our small band of fellow pilgrims in the historic and sacred center of the Austrian capital of Vienna, one of the most beautiful cities in the world. Be part of an intimate group to some of the many wonderful monasteries and beautiful sites in and around Vienna. This is a different kind of journey; it is a pilgrimage, not just a tour. You won't be spending each night in a different city and then moving on. You won’t be rushing from site to site to get it all in. You will be rooted in a particular place. Vienna is a wonderful city for monks and artists – a world-class city with much beauty and monastic roots, some even inside the old city walls. Art and culture emanates from the streets and inside churches. Becoming a monk in the world doesn’t mean removing yourself from life, but immersing yourself in the vibrant pulse of the world with practices to keep you centered in your own sacred center. Come not to take, but to receive. Don't be a tourist, be a pilgrim. We - Christine and John Valters Paintner – will be the stewards of this time. In spring of 2012, we sold everything we owned to go on our own life pilgrimage which led us to live in Vienna for six months before settling in Ireland. Vienna is where Christine’s father grew up and is now buried alongside her grandparents, and where she traveled often in her youth with her family. We have traveled to Vienna many times over the years, and are always drawn back to this great city for its magic and beauty. It is a city of the heart. Vienna has served as muse and guide for our own inner monks and artists and we are eager to experience it anew with others. Together we will create a temporary monastic community. We will explore and reflect on the ways the contemplative and creative gifts of this city and surrounding areas can help shape our lives when we return to the world. We will support one another through prayer, adventure, and holy surprises. Each day we will focus on a particular Benedictine theme and practice to shape our reflection for our pilgrimage to a sacred site and ponder the wisdom of the monastic tradition for our own lives. During our morning sessions we will gather as a community for lectio divina, ritual, writing, photography, gentle movement, sharing, and silent presence we will deepen into this tradition. At the monasteries we will have private tours in English and be invited to enter into the wisdom of these places. We will also have the option and opportunity to join the monks at Schottenstift Abbey (where we are staying at the guesthouse) for their morning, evening, and night prayers as part of our shared monastic rhythm. We will be visiting different monastic sites, as well as a couple of other treats and treasures, with a private tour guide at each location, spending time there and allowing the places to speak to us. No hopping off a giant coach with 50 other tourists to snap pictures and move on. We will walk and utilize Vienna’s amazing public transportation system on this up-close and personal pilgrimage, to get a feel for daily life there. Six seminar sessions throughout the week will be a time to pause and reflect together on what we are discovering, deepen into the monastic tradition, and engage ancient contemplative practices. This is our favorite time of year to be in Vienna because the Christmas markets will be opening while we are there and it creates a magical atmosphere to the city. Itinerary subject to modifications as needed. Day 1: You will arrive to the Benedictine monastery guesthouse in the heart of the old city of Vienna between 3 and 4 to get settled. This evening we have a welcome and orientation session and then go out to dinner together for Viennese cuisine. 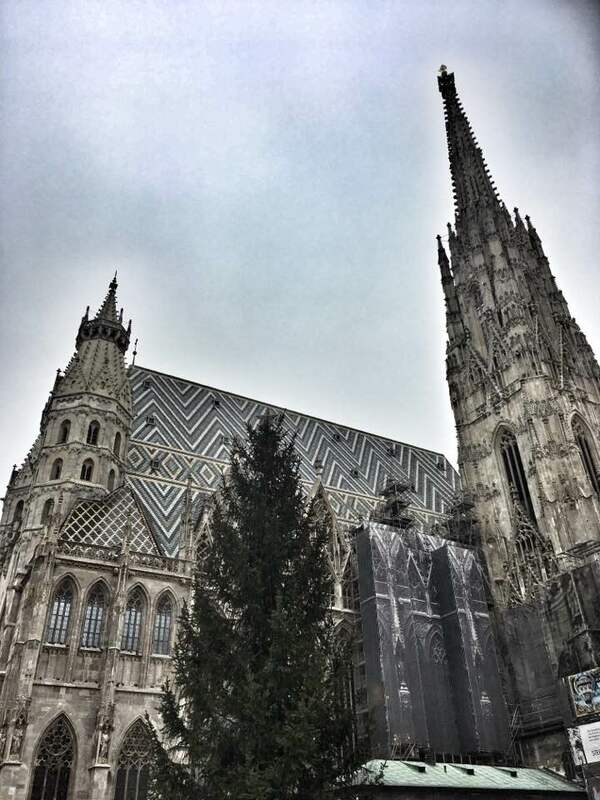 Day 2: Together we will attend a Catholic Mass at St. Augustine Church with its world-class music and orchestra, followed by lunch in a Viennese cellar restaurant and a guided city walking tour in the afternoon to get oriented. Dinner is on your own. Day 3: We begin with a group session in the morning for reflection, shared lectio divina, and conversation around pilgrimage. Lunch is on your own followed by a private tour of the Schottenstift Benedictine monastery where we are staying. Dinner is together at a local restaurant. Day 4: We begin with our group session in the morning and in the afternoon travel to Klosterneuberg, an Augustinian Abbey on the outskirts of Vienna where we will have lunch together and a private tour. Dinner is on your own. Day 5: We begin with our group session in the morning followed by lunch together at a French restaurant. The afternoon is free and in the evening is the option to attend a Taize service at St. Ruprecht's, the oldest church in Vienna. Dinner is on your own. Day 6: We begin with a group session in the morning, followed by lunch at a Turkish restaurant, and then a visit to Vienna's Central Cemetery with a beautiful Art Deco church and grounds for walking. Evening is free and dinner is on your own. 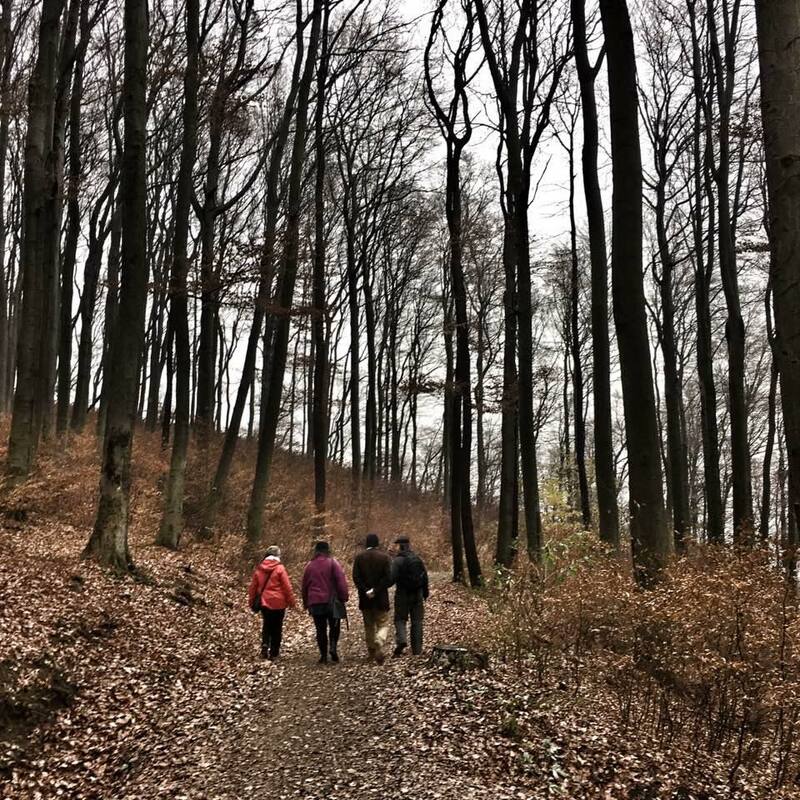 Day 7: We begin with our group session in the morning and then we will head out to the Vienna Woods for a hike together (3-4 miles with slight elevation gain) and have lunch in a Viennese tavern in the woods. Dinner together. 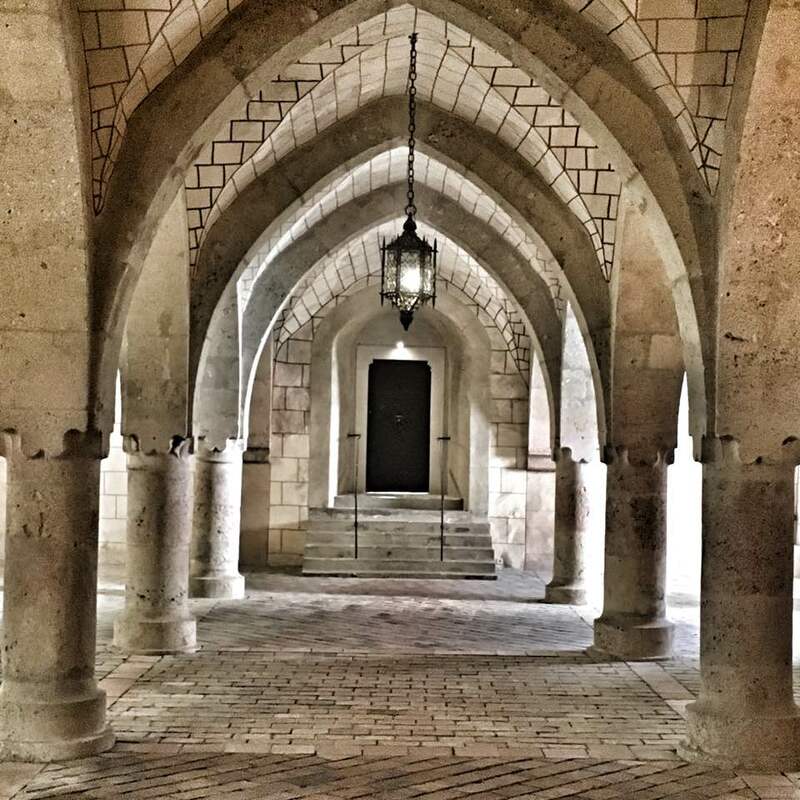 Day 8: We travel to the Cistercian Abbey of Heiligenkreuz by private coach and have a private tour in English. We will eat lunch together before returning to the city center. We have our closing dinner together followed by an evening session to bring our pilgrimage to a close. *Pictured left: Schottenstift Abbey, where we will be staying. You will also have the option to join the monks of Schottenstift Abbey for prayers in the morning, at midday, and at night. We will hand out this schedule when you arrive to Vienna. We want your pilgrimage experience to be soulfully enriching, stretching and challenging in the best ways, radically hospitable, inspiring, and wildly supportiveof where you are. If you're not sure if this program is right for you or your fit with Abbey of the Arts please be sure to review everything here carefully, read more about the Abbey, about Christine, about the Holy Disorder of Dancing Monks, read one of Christine's books, and if you feel a YES rising up within we eagerly welcome you to join us! If you still have questions please get in touch by email. If you want to have a brief Skype session to make a live connection, let us know that as well. When you register you are making a commitment both to yourself as well as to us and the community that forms. We limit participants to a small intimate group. We know sometimes life intervenes and cancellations happen. Please be clear on our cancellation policy. But also please be clear on your commitment to this experience. 3 lunches and 3 dinners (lots of inexpensive options in Vienna). Read the entire page including the FAQs below. Go to the registration page to pay your nonrefundable deposit and secure your space. We will send you a confirmation of your registration (usually within 24 hours) and the Terms and Conditions which need to be signed digitally and returned to finalize your space. You will need a passport to travel to Austria. U.S. citizens can visit for up to 3 months on an automatic travel visa. EU citizens can enter visa-free. Citizens of other countries should check with your local Austrian embassy. Please note: This pilgrimage will require lots of walking. Vienna is a very walkable city. We will be traveling by public transit and walking around the old city. You should be able to walk 3-4 miles comfortably at a moderate pace. Please contact us first if you have concerns about this. Where is the monastery located? Schottenstift Abbey will be our home for the 8 nights of our journey. It is located at the Freyung in the very heart of Vienna's center. We are ideally situated to take in the beauty of old city. November can bring colder temperatures and rain, but there is also the chance of beautiful autumn days. Dressing in layers works best, with comfortable shoes, and bring an umbrella with you. What is included with the meals? Breakfast is included at Schottenstift Abbey each morning in the guest dining room. Options include breads, cold cuts, yogurt, and fruit. If you need additional or alternative items, there is a grocery store across the street where you can purchase needed supplies. Lunches and dinners will all be at different restaurants that we love, so there will be options. Your meal includes a main course. 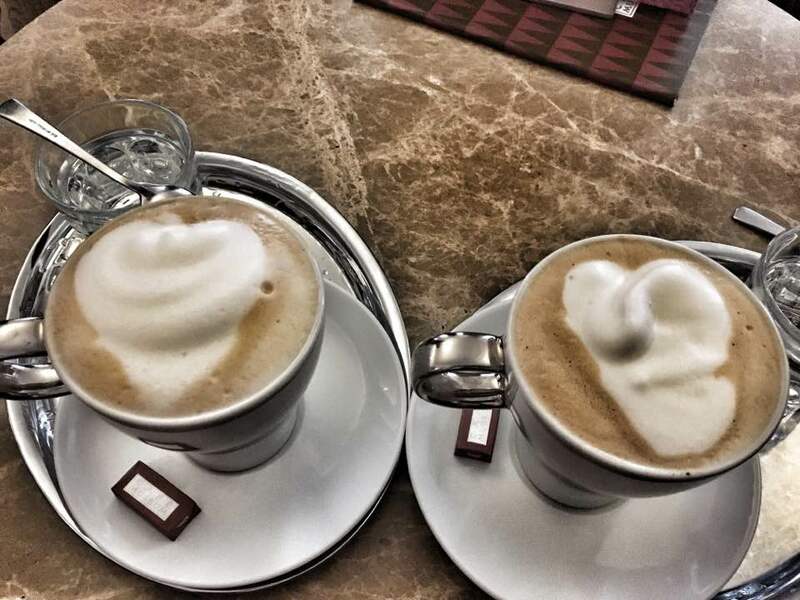 Servings in Austria are generally pretty hearty. There are often vegetarian options on the menu, but limited as Austrian's food culture is still very meat (mostly pork and beef) and potatoes-centered. We will be dining in places that serve typical Viennese cuisine, as well as a lovely French and Turkish restaurant to include some variety. Beverages, appetizers, and desserts are an additional cost. Keep in mind that in Austria often pitchers of water are not provided for tables and drinks need to be purchased separately. You can pay by credit card right from this web page using the buttons above. We also accept checks (we will send you our U.S. or Irish mailing address depending on where you are sending payment from) and payment by bank transfer (we will send the details of our account on request). If you would prefer to pay the amount in Euros, please contact Christine for the amount. The €500 deposit secures your space in this small pilgrimage group and is nonrefundable. The balance of the program fee is due five months prior and is nonrefundable after that time. We ask that you obtain travel insurance to cover any personal emergencies that may prevent you from joining us. What is the schedule of the day like? Please see the Book of Days above for the schedule, most days will be full, but we hope to offer some spaciousness within our time together for lingering at different places. The schedule is subject to changes as needed. Everyone who participates will have a single room with their own bathroom, unless you are traveling with a friend or partner, in which case you can share a double room for a reduced program fee. How much walking is there? Vienna is a fantastic city for walking as most of it is flat and the city center is compact (there is a three-mile ring street running around the perimeter to give you a sense of size). We will be providing you with a weekly transit pass so you can travel anywhere in the city limits that week on their wonderful transit system. You should be able to walk 3 miles at a time at a moderate pace. Please contact us if you have concerns. Does the pilgrimage have disabled access? 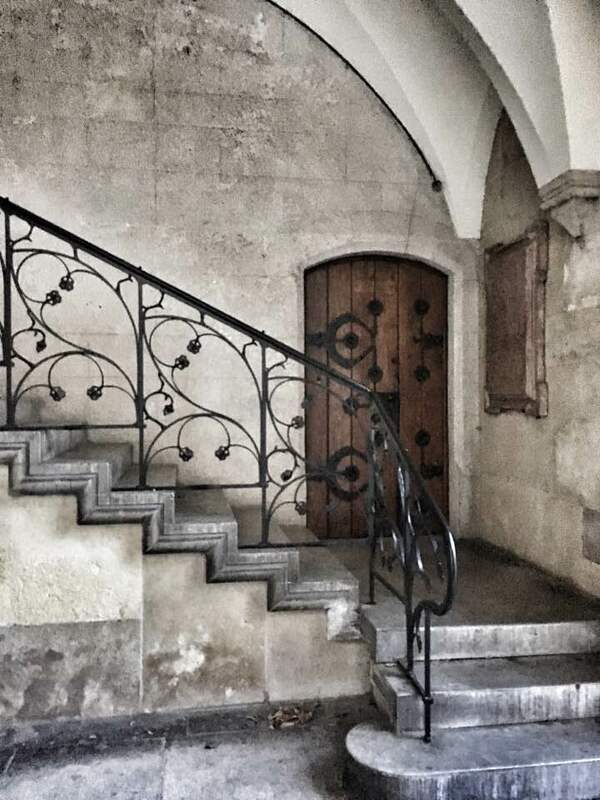 Unfortunately because of the limitations of some of the older sites we are visiting including the monastery where we are staying, you will need to be able to navigate a flight or two of stairs. How do I best prepare for this time? Once you say yes, the pilgrimage has already begun! Pay attention to the dreams of your waking and sleeping life in the coming months to see what is being stirred. Christine and John will be sending some suggested reading and reflection. What is the best way to get to Vienna? Fly into Vienna International Airport and from there you can take a taxi or public transit to the monastery. We will be providing specific directions as we approach our time together. Vienna is near many other fabulous cities in Europe. You can get to Bratislava, Prague, and Budapest all very easily. We recommend visiting Salzburg if you have time (there is a Benedictine monastery there) as well as the beautiful and charming village of Hallstatt, set between the side of a mountain and edge of a lake, where the earliest Celtic remains in Europe are found. The Austrian Alps are located in the Tirol region in the west of the country with Innsbruck as the main city. Everything is very accessible by train or bus. Christine Valters Paintner, PhD, REACE is the online abbess of Abbey of the Arts, a global community serving thousands of monks, artists, and mystics who are hungry to integrate contemplative practice and creative expression. 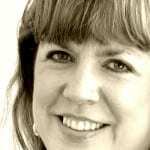 Christine is also the author of eleven nonfiction books on monastic spirituality and creativity, as well as a poet who has been published in several journals. She has lived on the wild west coast of Ireland for the last five years, falling always more in love with the place. Her forthcoming book The Soul's Slow Ripening: 12 Celtic Practices for Seekers of the Sacred is being published by Ave Maria Press in September 2018. You can find out more about Christine here or see more of the books she has written here. John studied education and earned a teaching certificate in his home state of California. John later went on to earn a Masters in Theological Studies at the Jesuit School of Theology in Berkeley. After working in parish ministry for several years, John returned to the classroom, teaching high school religion with a focus on the Hebrew Scriptures for twelve years. 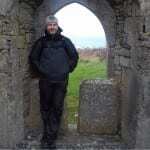 After a sabbatical year abroad, John now works as Prior of the Abbey of the Arts along side his wife of twenty years, Abbess Christine, living together in Galway, Ireland. Visit the "About John" page for more information.